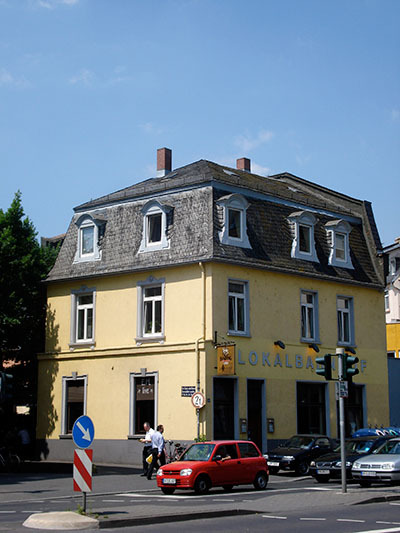 Lokalbahnhof is located not too far from the center of Frankfurt. 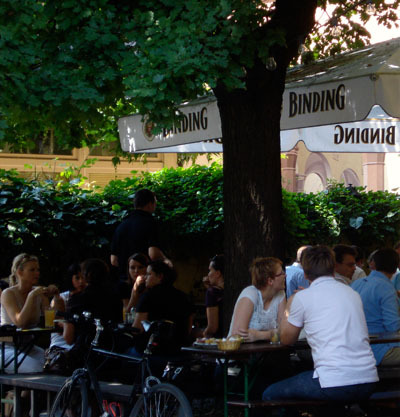 While the decor is simple, the restaurant has a very friendly atmosphere, especially in the Biergarten (get a table there in summer). Comfort is very basic. While the place was full, the service was still fast and friendly. Our waitress made genuine efforts to please us. 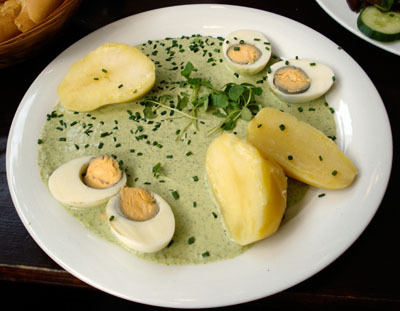 I only had a main course which was a very typical dish of boiled eggs and potatoes with green sauce. The Frankfurt GrÃ¼ne, a cold sauce, is regional specialty made from seven herbs (borage, chervil, cress, parsley, burnet, sorrel and chives) that traditionally accompanies fish and meat dishes, boiled eggs and potatoes. While very simple, it was good and tasty. Around $20, including drinks (water and bier) and tip. Considering the food and the current exchange rate (close to 1.6 dollars for 1 euro at the moment), Lokalbahnhof is definitely a very good value for money. I will certainly come back.